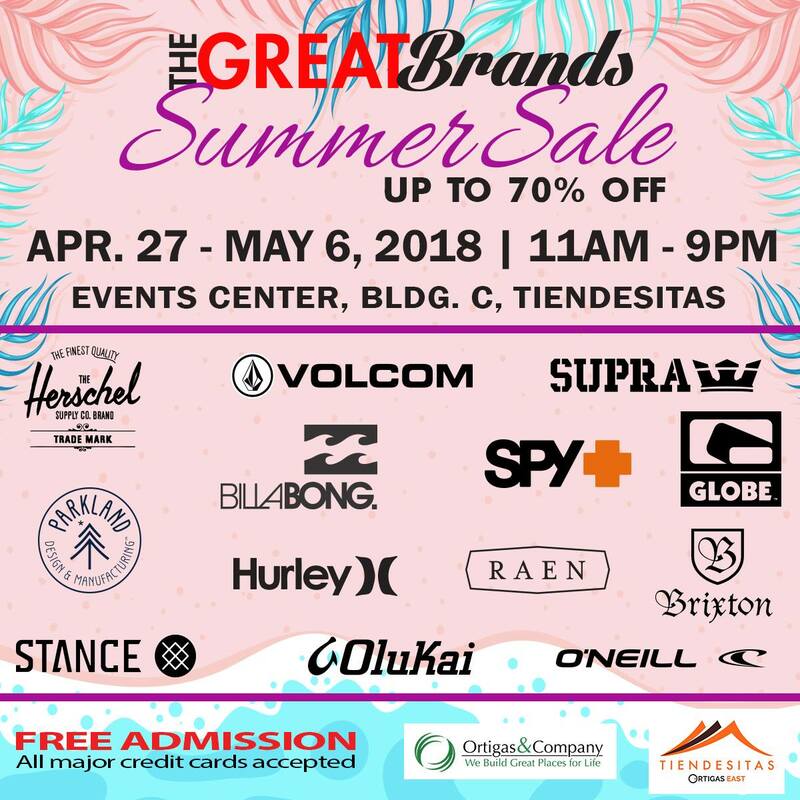 Striptop Outlet Store (SOS) will storm the new event center of Tiendesitas and hold the The Great Brands Summer Sale on April 27 to May 06, 2018 from 11m to - 9pm. 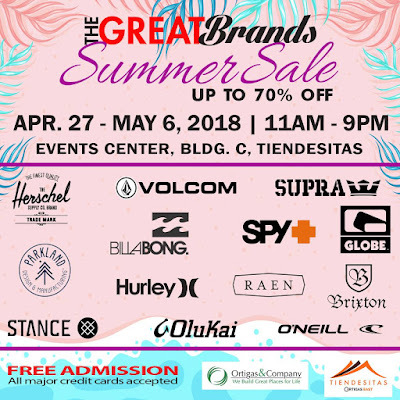 Shoppers will enjoy up to 70% discounts from participating brands like Supra, Herschel, Parkland, Hurley, Olukai, Fitflop, Billabong, The North Face and many more. Customers will also enjoy great finds on great selections of shoes, bags, accessories, men’s and ladies fashion, just in time for the summer vacation.